If you are a dog owner for the first time, you may be surprised by how much your dog sleeps. We all know the importance of a good night’s sleep, but does this apply to dogs as well and how much sleep do they exactly need? Unlike people who are awake all day and who sleep during the night, dogs do not follow a regular sleep routine. On Average, dogs spend 12 to 14 hours per day sleeping, but instead of sleeping for one long stretch at once, they rather take several naps during 24 hours and spread out their sleep. Larger breeds tend to sleep more than smaller breeds as they burn more energy and can spend 16 to 18 hours sleeping. Working day whose day is filled with various activities will sleep less, while those dogs who lead sedentary lives will sleep more. Puppies can spend up to 20 hours a day sleeping. They sleep more as their rapid growth and development requires more energy and the result, they may end up sleeping more than adult dogs. As dogs age, they spend more time sleeping since they tire more easily and need more rest so they can function properly. Why Dogs Sleep So Much? A quality sleep is important for dog as much as it is important for us. While sleeping, dogs are repacking their daily memories, storing the important ones and erasing the rest, just like people. 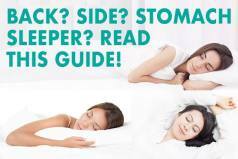 Sleep also gives their bodies the chance to recover and repair and the lack of it can impact both their health and their behavior. 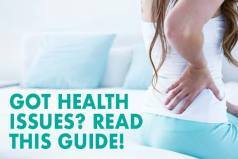 The lack of quality sleep can weaken their immune system and make them more prone to sickness. It can also cause the rise of their stress hormones which is why they may appear to be grumpy and in a bad mood. Dog’s sleeping patterns resemble our sleeping patterns, and just like humans, dogs go through different stages of sleep. The main difference between dog sleep and human sleep is the time they spend in different stages of sleep. They begin with the slow wave sleep during which their heart rate and breathing slow and their blood pressure drops. After approximately 10 minutes, they enter REM sleep during which their mind remains active while the body is relaxed. During this phase their brain processes daily experiences and they dream like humans, although we don’t know what they dream about exactly. You can easily notice when they are in this stage of sleep simply by observing them. Their eyes will roll under their eyelids and they may start twitching in their sleep as their bodies react to dreams. What also makes their sleep cycles different from our sleep cycles is that dogs tend to sleep in bursts throughout the day. They can spend 16 minutes sleeping and then they can be awake for 5 minutes while we sleep 7 to 9 hours continuously and spend 15 to 17 hours awake. Dogs can also wake up a lot easier than humans and they can do it even without completing a full sleep cycle. As the result, they need more sleep to make up for the lost REM sleep. The typical dog will only spend around five hours a day being active. Half of his day he will spend sleeping and the rest of it resting. This is because a dog’s sleep cycle isn’t like ours. Dogs do not reach the deeper, more restorative stages of sleep and can wake up immediately after falling asleep if necessary. How active they will be or how much they will sleep during the day depends on their environment, age, size, owner’s needs, etc. For instance, police dogs, farm dogs, guide and sporting dogs have certain tasks to fulfill throughout the day which keep them busy all the time and they will sleep less than dogs who do nothing. We have mentioned that older dogs and bigger breeds will sleep more during the day so they can get enough energy necessary for proper functioning. Dogs can also easily adjust their sleep schedule to their owner’s needs. They will sleep while their owner sleeps or while he/she is away from home and be awake when he/she arrives home or is awake and willing to play with them. Sleeping plays a crucial role in the health and well-being of your dog and the long naps that he takes are not something you should worry about. However, if you notice some drastic changes in the sleeping habits of your dog, if it spends more time sleeping than usual and seems excessively lethargic, it could be indicative of a larger problem. Excessive sleep is often associated with diseases like diabetes, depression, and hypothyroidism, which require immediate vet attention. Large amounts of stress resulting from the death of a loved one or a big move may also impact the quality of sleep of your dog and he may end up sleeping more or less than usual. This is an expected reaction, but if their sleep doesn’t return to normal after some time, you should consider taking your dog to the vet. 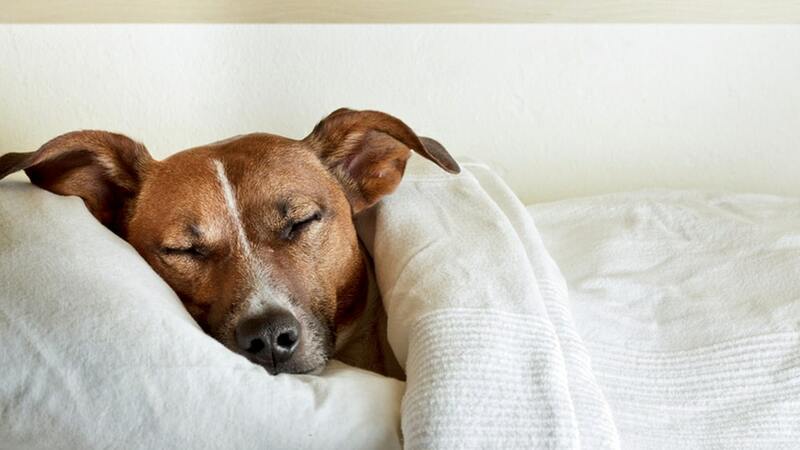 How Can You Help Your Dog Get Better Sleep? Find a way to engage your dog in different activities during the day to stimulate his mind and help him spend that extra energy that he has. You can stimulate your dog by giving him a new toy to play with, taking him for a walk, playing fetching games with him, etc. Ensure that your dog has a comfortable place where he can snuggle and sleep. There are various types of dog beds available these days that you can buy for your dog and that can perfectly suit all his needs and sleeping positions. Give him a blanket or an old t-shirt that smells like you. This will make their sleeping environment cozier and make them feel more comfortable. If you choose to share your bed with a dog, like most dog owners choose to do, make sure you get a quality mattress that will be large enough for everyone and that will provide you with excellent motion isolation so you won’t be woken up by your dog moving around during the night. 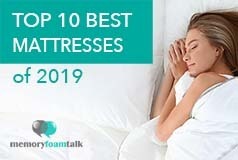 Check out our best mattress guide and pick one that will work perfectly for both you and your dog and that will provide you with the level of comfort you need for a healthy and restful night’s sleep.